The featurette below features author J.K. Rowling and the film’s star Eddie Redmayne as they provide us with a bit of insight into the film’s lead character, Newt Scamander. Fantastic Beasts and Where to Find Them is set in the Harry Potter universe, but the story is based several years before Harry was born. 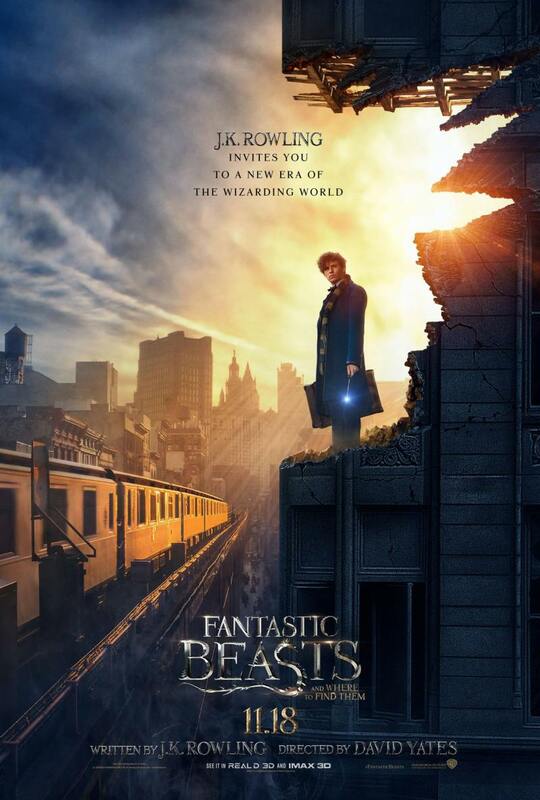 The film follows the adventures of Newt Scamander (Redmayne), a Hogwarts wizard visiting New York. A teaser trailer which can be found below was released a few weeks ago and we can see from it that the film will re-capture the style and charm of the Harry Potter films. David Yates, whose credits include the upcoming The Legend of Tarzan and four past Harry Potter films is directing Fantastic Beasts and is an excellent choice, considering his experience. Oscar winner Eddie Redmayne stars in the lead role and is joined by Ezra Miller, Colin Farrell and Katherine Waterston in supporting roles. Fantastic Beasts and Where to Find Them is based off a script by the original book’s author J.K. Rowling and will be released towards the end of the year.